I always think good gardening calls for a certain type of ruthlessness. Never is that quality more needed than at this time of year when almost everything has become overblown and top heavy. It’s fine to sedately mow and deadhead your way through summer, but there’s no room for sentimentality when it comes to autumn gardening. 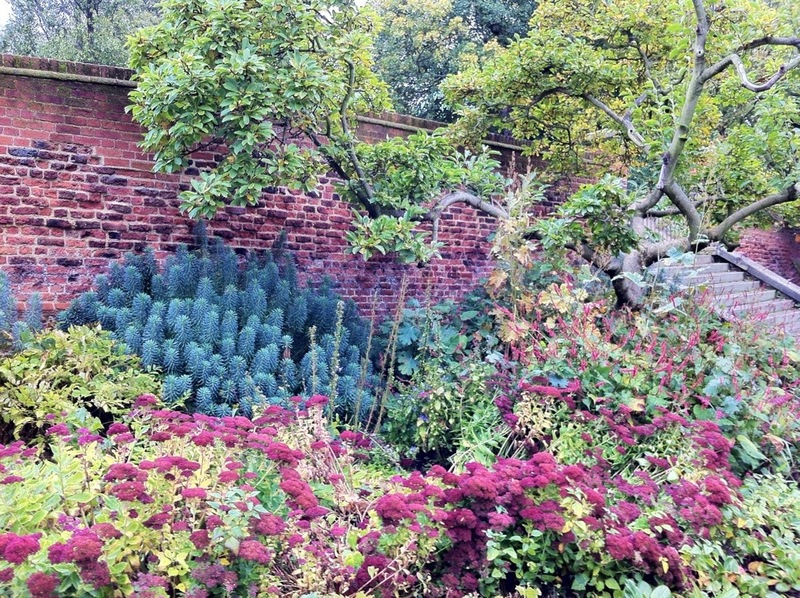 Late October and early November in the garden should be all about planting and tidying up. And once that’s done, there’s nothing more satisfying than to come indoors and start planning for the following year. All this work requires a strong back for dividing overcrowded perennials, digging vegetables, raking lawns and secreting bulbs safely in the ground. Keeping the garden free of weeds, leaves and debris is an ongoing task, preventing pests and diseases building up where you don’t want them. However, remember that hibernating animals such as hedgehogs and slow worms may choose to hibernate in compost heaps and leaf piles, so be careful before turning them over or starting a bonfire. Although we don’t have space to grow fruit and vegetables, now is a good time for planting fruit trees and bushes. Newly planted trees need to be tied firmly to a stake to prevent wind damage. It’s best to stake low down so the trunk can flex in the wind whilst the roots remain stable. October is also the time to lift and harvest root vegetables such as turnips, carrots, onions and late potatoes. Parsnips always taste better after they’ve had a frost on them and are my favourite root vegetable, especially with a Sunday roast. Something to look forward to when I get home (The Other Half can’t stand them). 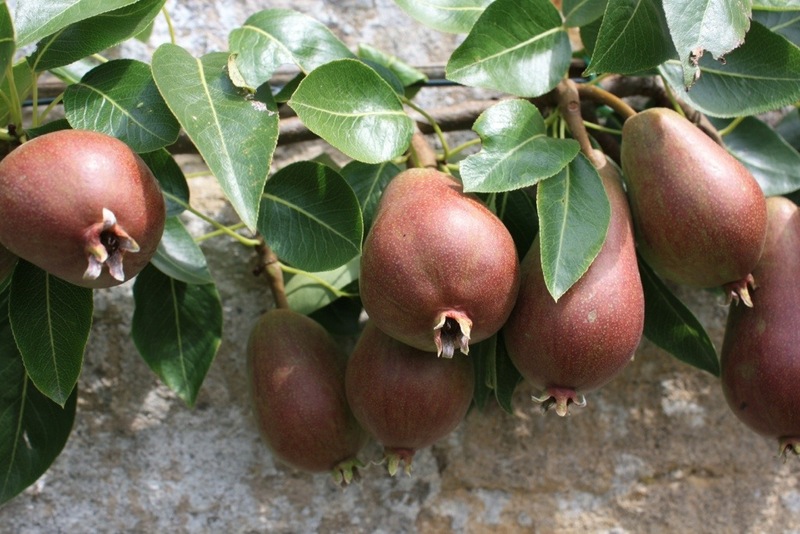 Tree fruit should also be harvested and stored before the first frosts arrive. November is the ideal month for planting roses, shrubs and hedges using bare rooted plants. Since the advent of cheap plastic pots our habits have slowly changed and spring has become the main season for buying and planting. A recent survey by the RHS found that only 12% of gardeners thought autumn was best for planting, whilst 80% chose spring. And yet whilst the ground is still warm and moist, plants will quickly send out new roots and get away much faster the following year. Most deciduous plants are dormant by now and safe to transplant if they’re not where you want them. 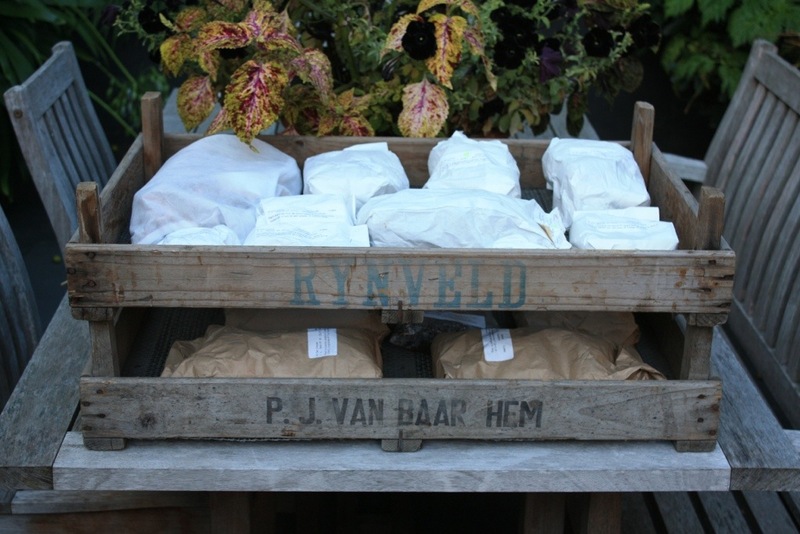 Of course containerised stock can be planted at any time, provided the ground is not frozen. When creating a hedge, the best way to encourage wildlife is to plant a mix of native species such as field maple, hawthorn, dog rose, Viburnum and dogwood. However Berberis, Cotoneaster and Pyracantha will also produce berries that ravenous birds enjoy during the winter. Autumn is the best time to divide and replant clump-forming perennials. Dig up the whole plant and carefully split into smaller sections using two garden forks back-to-back, or an old bread knife or saw for very dense rootballs. Discard the congested centre of the clump and replant vigorous pieces from the edge. The soil is still warm enough now for plants to re-establish and they’ll grow away quickly in the spring. I desperately need to divide a number of plants, including Libertia and Dianella, but they’ll have to wait until I get back now. By November any hardy perennial plants that might be frost sensitive, such as fuchsias and deciduous Agapanthus, should be protected by a thick layer of mulch. Organic material such as peat, leaf-mould or straw helps prevent moisture loss and will stop the roots freezing. I’m not a fan of garden centre bark chippings as they generally look a bit “municipal” and they can acidify the soil. Tender perennials need to be moved into a frost free greenhouse or discarded and replaced next year. I overheard a specialist nurseryman at Hampton Court this year, advising a customer to keep their Brugmansia (aka Datura, or Angel’s Trumpets) in the cupboard under the stairs. Let me know if you’ve tried that! Unless you live in a mild spot, tender bulbs and tubers such as dahlias, begonias, Eucomis, Zantedeschia, Nerine, Hedychium, gladioli and cannas should all be mulched heavily or dug up and kept in a dark, dry, frost free place until they’re ready to sprout again in spring. In most cases the display the following year will be bigger and better, but in the case of Gladioli the bulbs can divide into much smaller ones which are best replaced by new stock. I rarely bother to keep potted Gladiolus callianthus from one season to the next, especially as they are so cheap to buy, but occasionally the bulbs are fat enough to give them a second go. As with all bulbs, avoid removing any foliage until it’s completely yellowed as you’ll be removing the bulb’s food supply prematurely. Our tiny patch of lawn in London is in a terrible state, crushed beneath scaffolding and compacted by workmen’s feet. It really should be replaced by something else, but The Other Half will not be without a patch of greensward. As leaves fall, rake them off and add them to the compost heap or pack into loosely woven hessian bags which can be placed somewhere sheltered to rot down in to lovely leaf-mould. 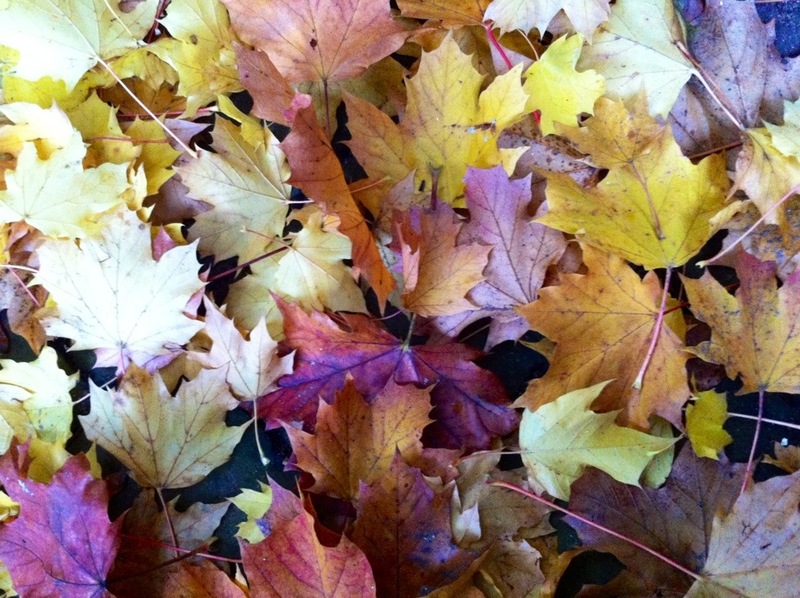 Allowing leaves to remain on the lawn can damage the grass as they block out air and light. If there is a dry spell, mow your lawn one last time – grass stops growing once the temperature drops below 6 degrees centigrade. It’s also a good idea to apply a low nitrogen lawn feed to established lawns. October is still a good month to lay turf, provided it’s on well prepared ground. 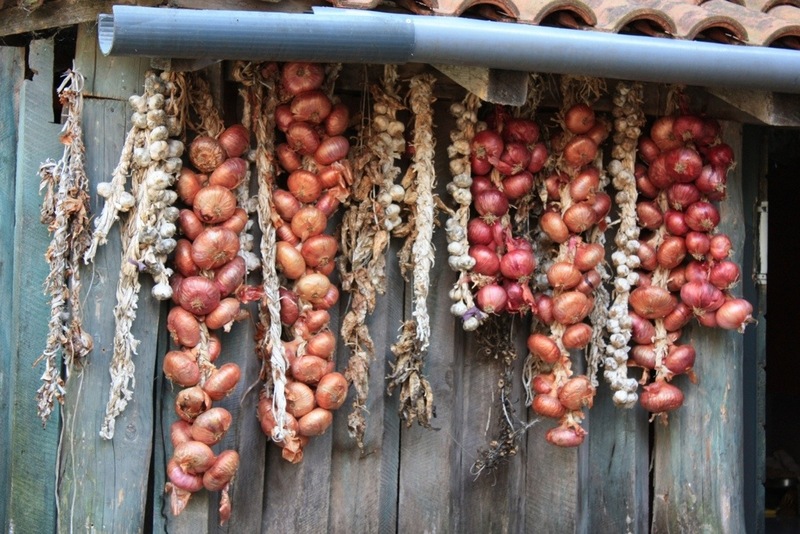 If you are planning to grow bulbs indoors, now is the time to start planting. My “Paperwhite” narcissi are currently in the bottom drawer of the fridge, as started into growth too soon they will flower long before Christmas. I will get them out about 6 weeks before and plant them cheek-by-jowl in large, shallow bowls. These need to be placed in good light otherwise they’ll grow too tall and fall over. When planting hyacinths, make sure they are prepared bulbs which the grower has tricked into believing the winter is over. 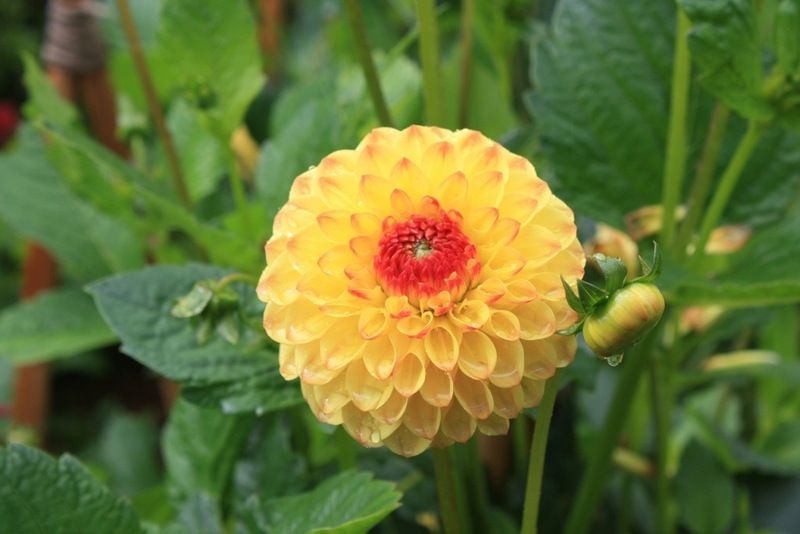 These will start to grow straight away, and can be flowering in time for the festivities. Place them closely in shallow bowls and tuck them away in a cupboard until the shoots are 1.5″ long. Bring them out into the light too soon and they’ll be stumpy, leave them too long and they’ll get too leggy. My favourite indoor bulb is amaryllis, and this year I have ordered two varieties. Hippeastrum “Black Pearl” has the most irresistible flowers, the colour of opera house velvet, and I am trying Hippeastrum papilio for the first time, and at great expense, given each bulb costs a princely £10. I’m not a great believer in keeping amaryllis bulbs from one year to the next, but I am attempting to re-grow some white ones which flowered disappointingly in their first year. I suspect I will only be disappointed again, but I guess eternal hopefulness ranks alongside ruthlessness in the qualities needed of a gardener!